In the new year, one of our highest priorities continues to be meeting with the city's leaders to advocate for the greatest needs of the Asian community. 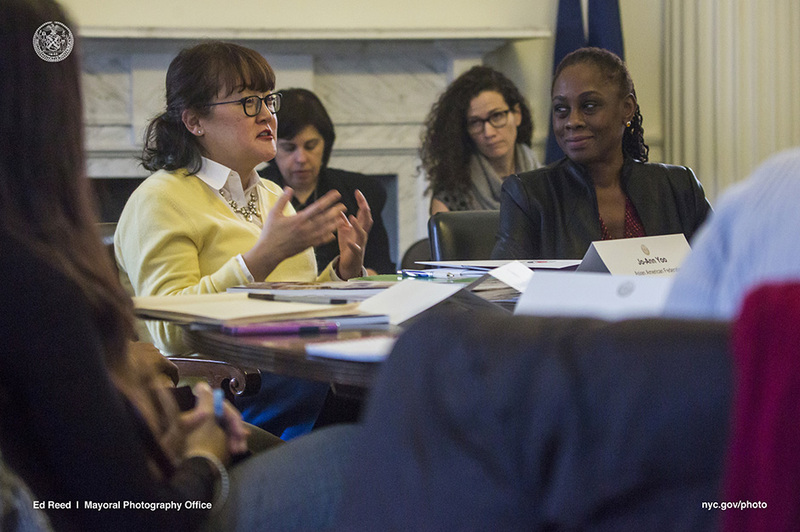 On Jan. 19, we convened a meeting with First Lady Chirlane McCray and Deputy Mayor Richard Buery to talk about how ThriveNYC, the city's new roadmap to improve the mental health care system, could be tailored to meet the pressing mental health needs of the Asian community. Ten Asian-serving non-profit groups that work on mental health issues among youth, adults, and seniors shared about the need to build service capacity and provide in-language, culturally competent services to those suffering from depression, PTSD, and other mental illnesses. We thank the First Lady and Deputy Mayor for their time and commitment to our community's needs! We look forward to working closely with them on this issue in the coming years.